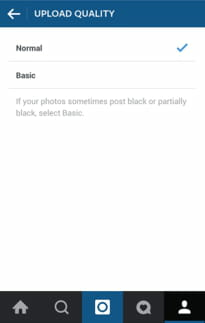 The basic mode can help to fix the issues you may encounter when you upload photos on Instagram (photos are black or partially black). Published by jak58. Latest update on August 15, 2015 at 04:35 AM by jak58. 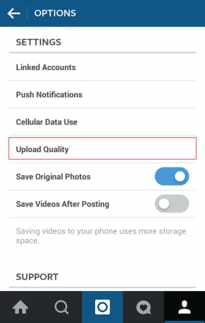 This document, titled "Instagram - How to Set the Default Upload Quality of Your Photos," is available under the Creative Commons license. Any copy, reuse, or modification of the content should be sufficiently credited to CCM (https://ccm.net/).